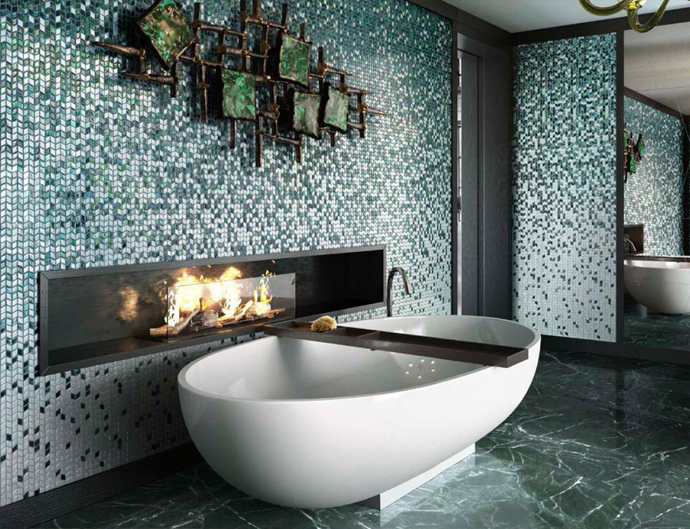 At Concept Virtual Design, we offer an exceptional high quality A3 colour design and specification service, working on projects for both developers and private clients, who are looking for sophisticated bathroom designs with the correct level of attention to detail . 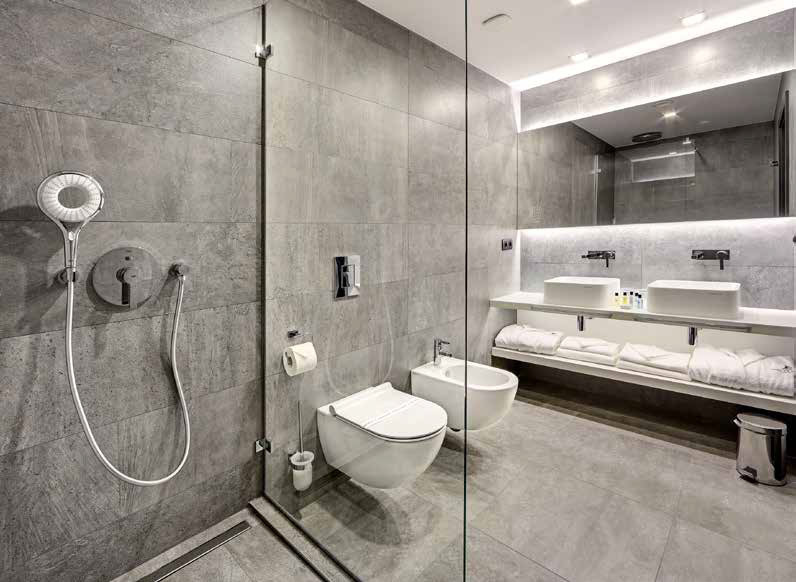 We can optimise the design the layout and style for you, providing you with detailed plans to help you make the most of your bathrooms. 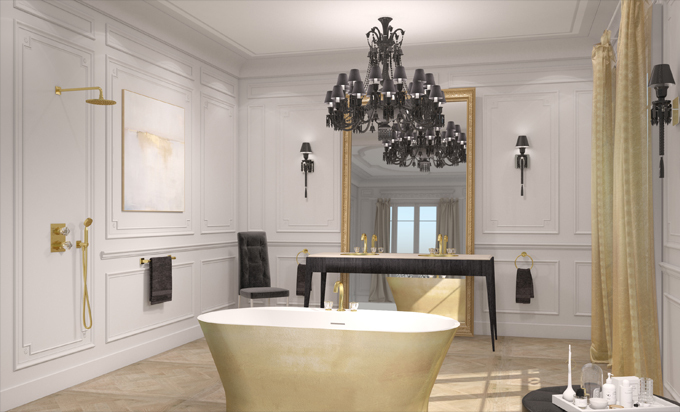 At each stage of the design, we provide visualisation of all bathroom areas, to ensure you can make the most informed choices on what the finished project will actually be. 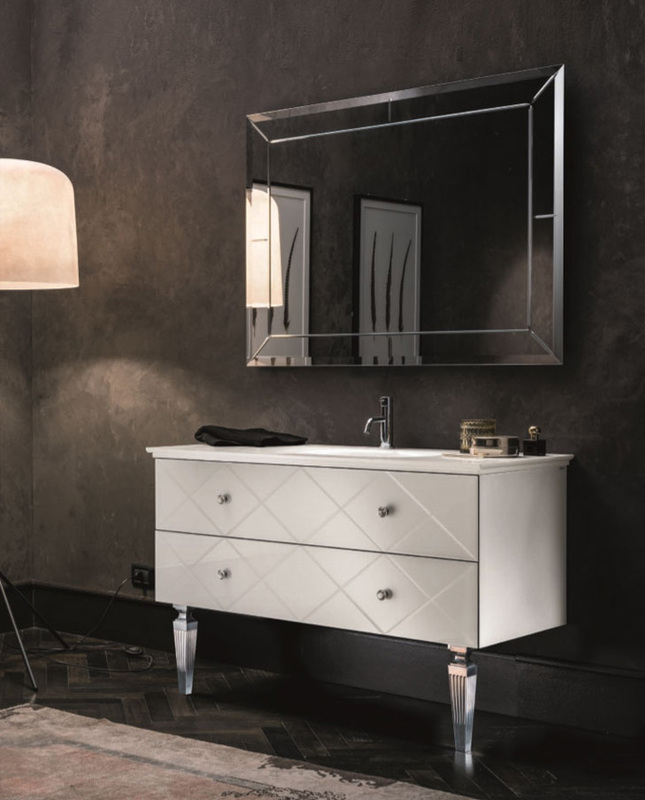 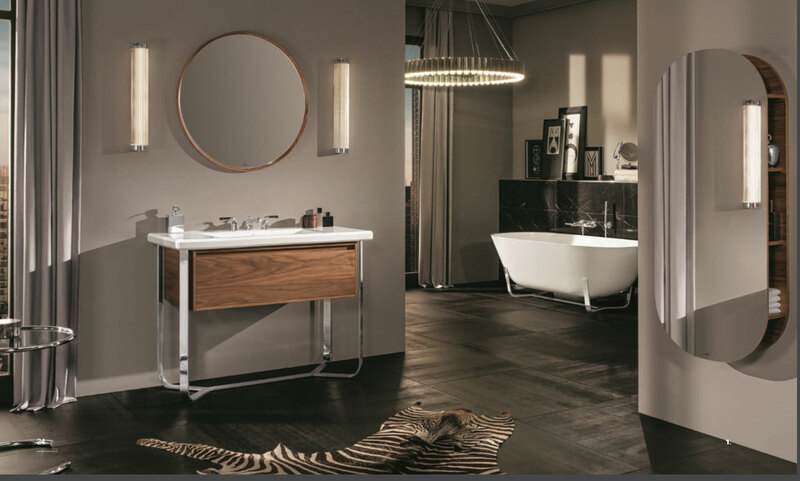 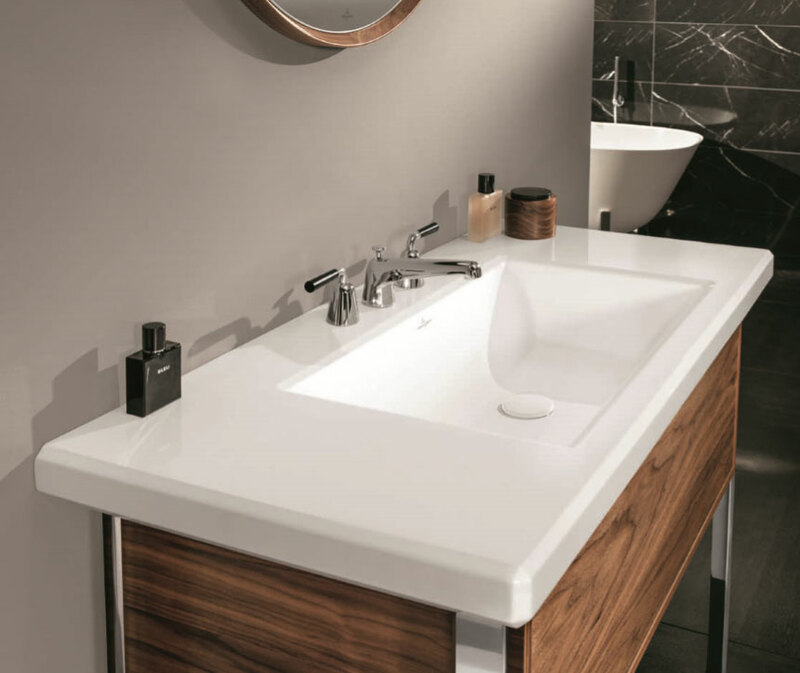 We advise on all your options, such as luxury textiles, the latest technology, forward trends in colours and lighting , detailed specifying of your bathroomware with quality manufacturers of high end products, for the very best bathroom creations . 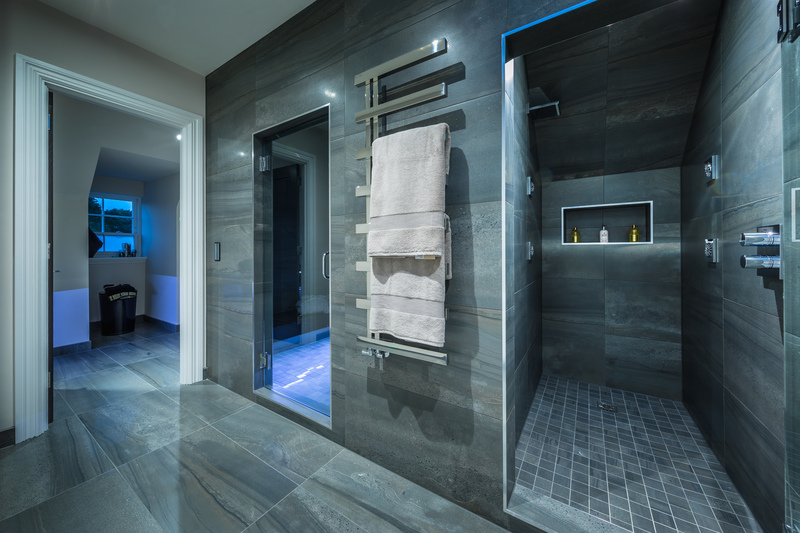 We often start work on developments before building work has commenced, enabling our in house design team to advise on door way positions and internal walls that will optimise the space available and help to create the most sophisticated layout. 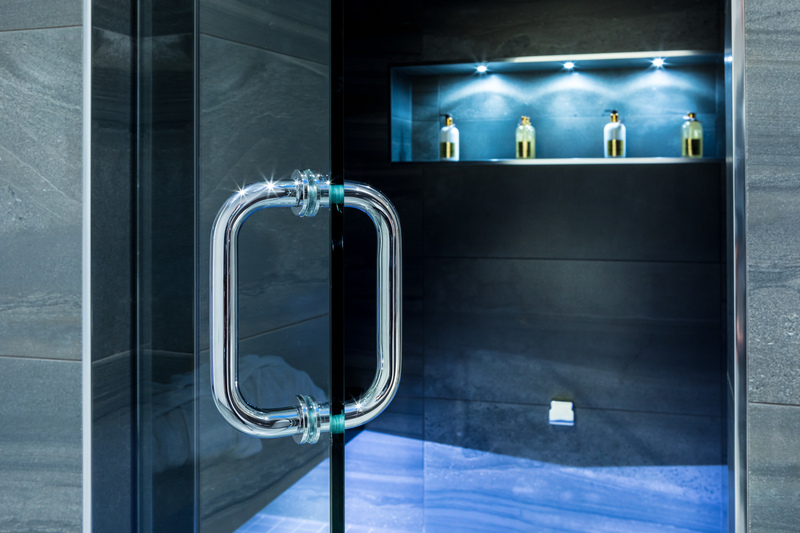 We work closely with leading architects, refurbishment specialist contractors, main development contractors, luxury house builders, as well as working directly on private client projects. 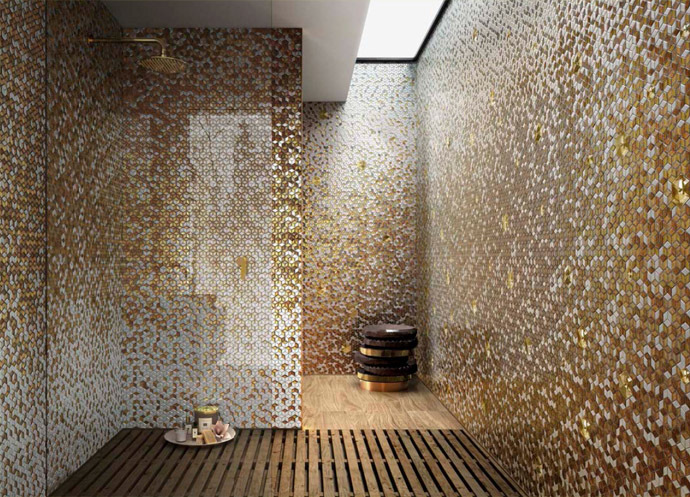 The new ViPrint from Villeroy & Boch uses specialist printing technology, that provides innovative and creative decors, for flush fitting wet shower trays. 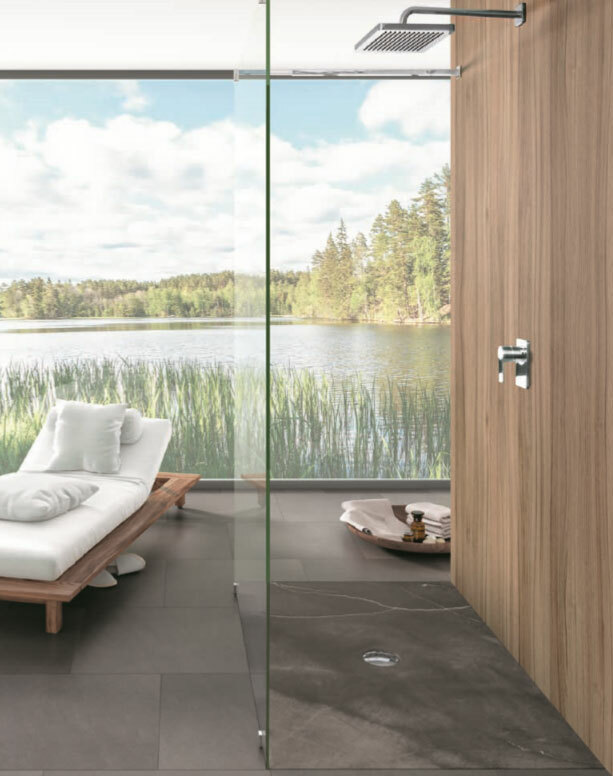 Inspiration from nature gives natural twists on classic and minimal bathroom designs, allowing for the creation of a truly distinctive look within a bathroom. 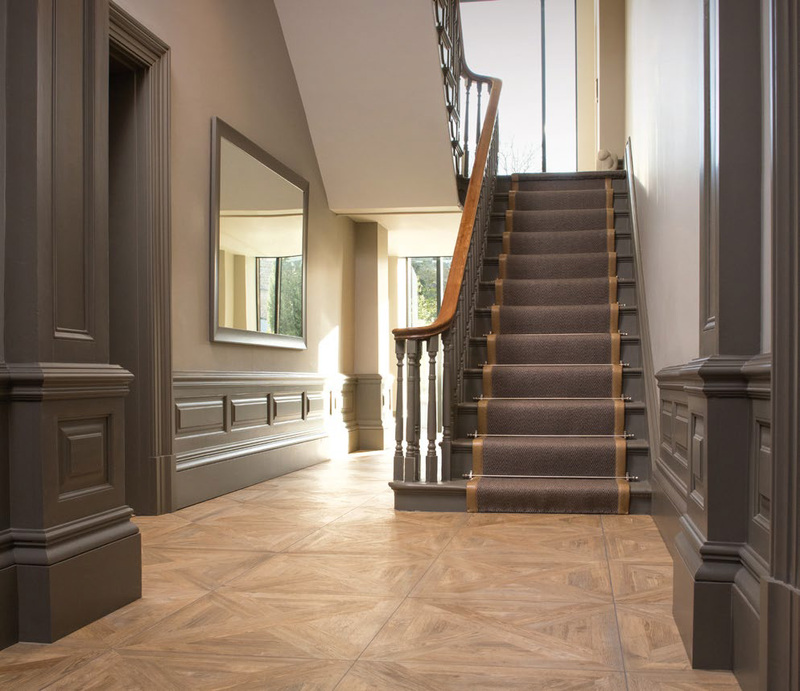 Not only are these patterns striking but they come with the added benefit of being easy to clean and have an anti slip class of A (PN12), making them safe and a joy to use. 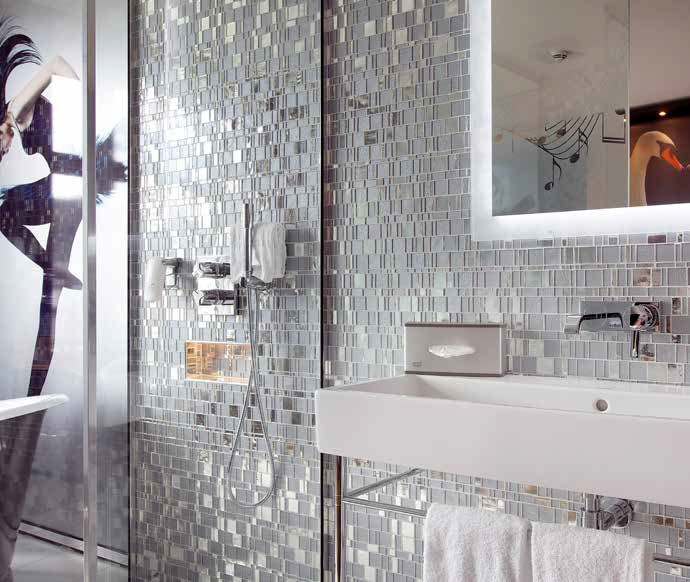 From realistic wood structures and stone textures to patterns inspired by the famous Mettlach tiles, the ViPrint range opens up the possibility for an injection of real character and personality into a luxury bathroom, whether contemporary or traditionally styled. 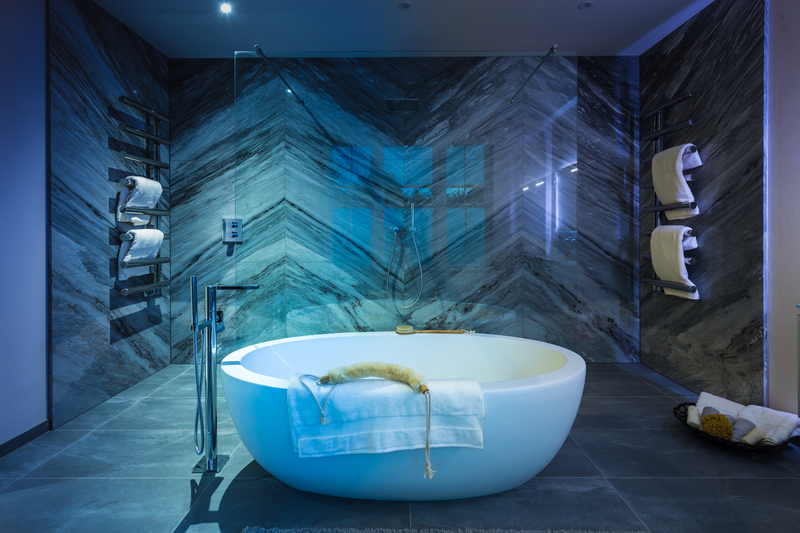 Concept are excited to offer their in house design service to bring together truly luxurious creations for high end new developments and private client projects. 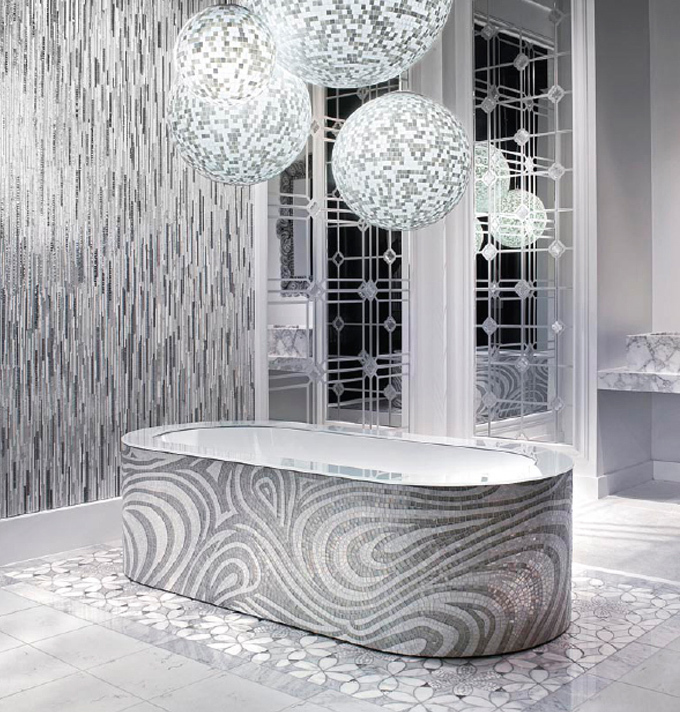 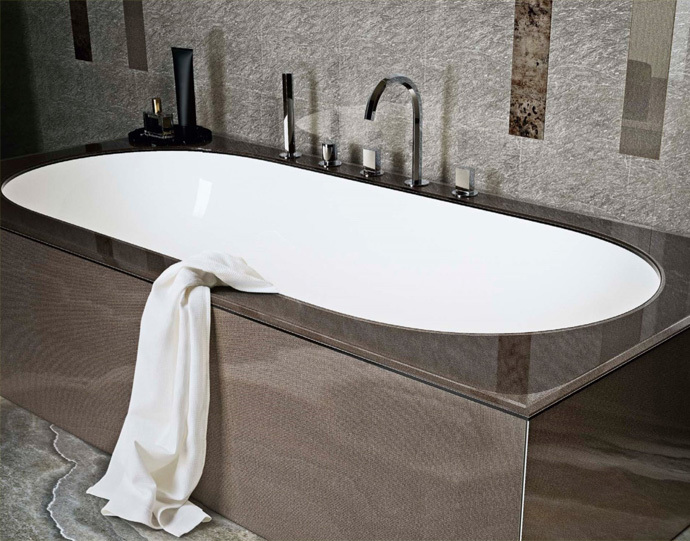 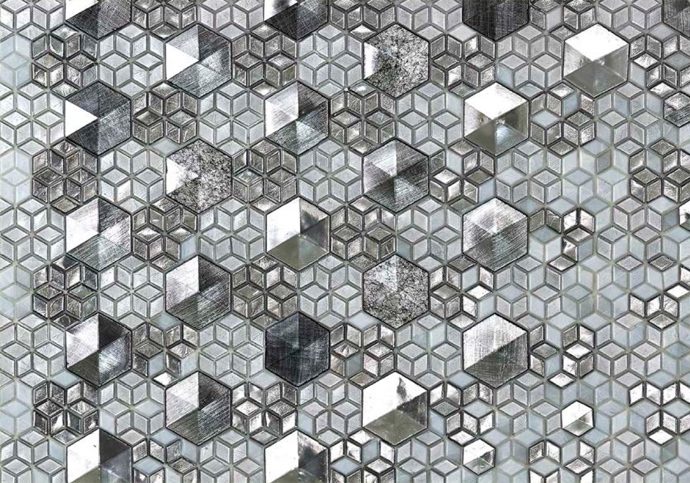 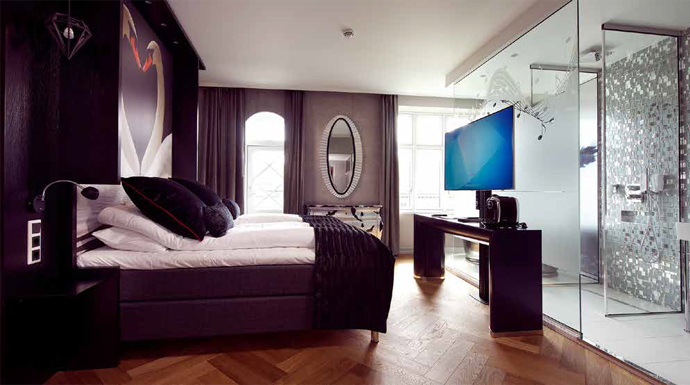 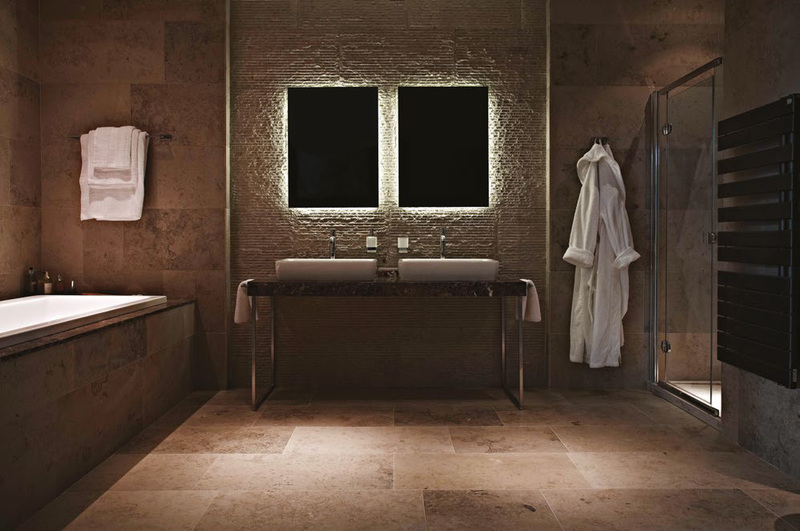 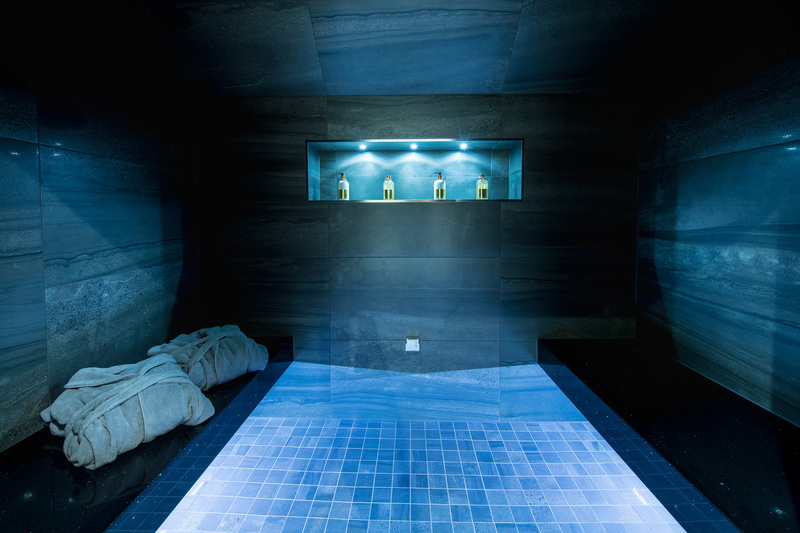 We work with the area’s leading architects to design stunning bathrooms that ooze decadence. 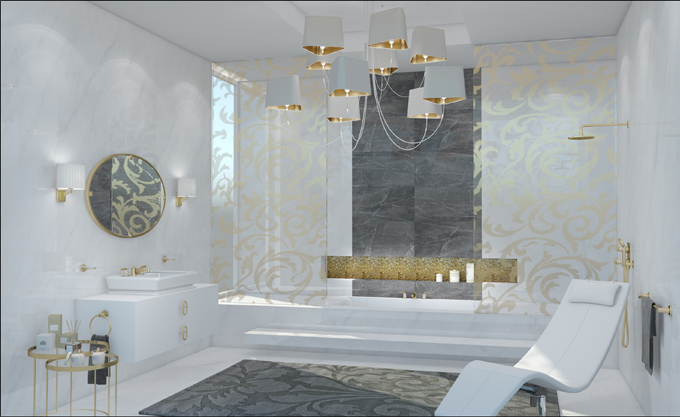 Concept Virtual Design are a supply only “Architectural Design and Setting Out Company, that specialises in high quality bathroom design” . 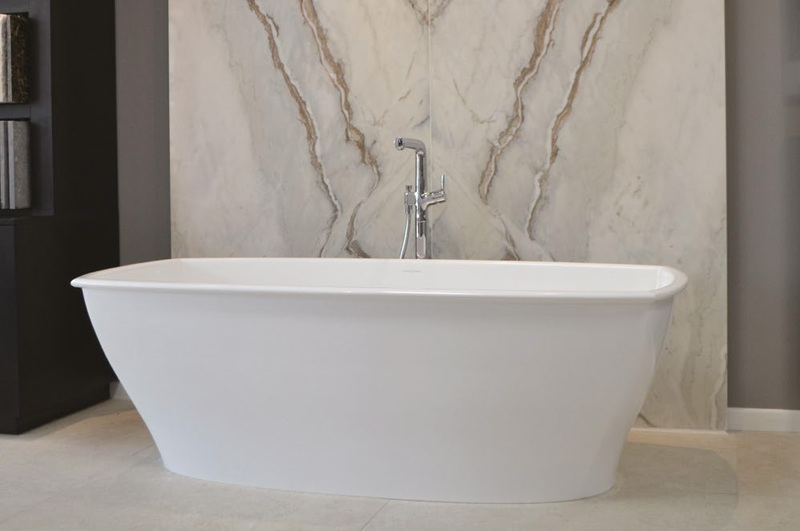 To view our the latest materials, trends and products that we design and supply, please visit our showroom in Maidenhead, which has been given a 10/10 best showroom rating by independent reviewers from Kitchens, Bedrooms and Bathrooms Magazine. 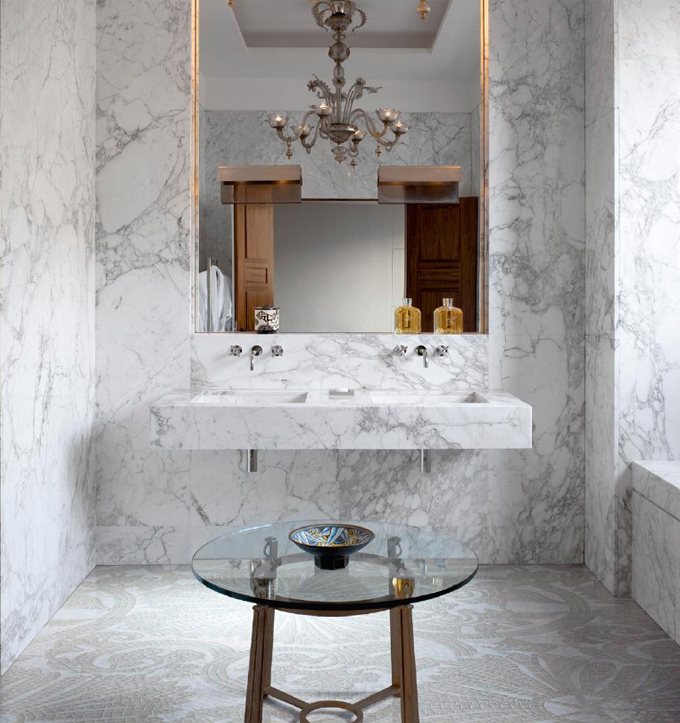 The possibilities of marble are seemingly endless, bringing a richness that was used back in Roman times as a symbol of a person’s fortune and social ranking, especially with introduction of refined mosaic flooring techniques that required highly skilled masons. 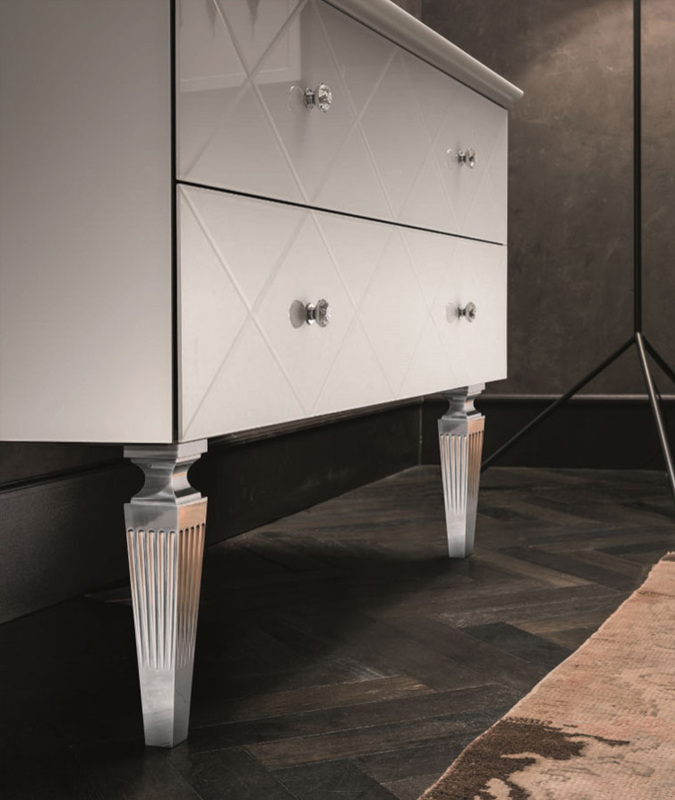 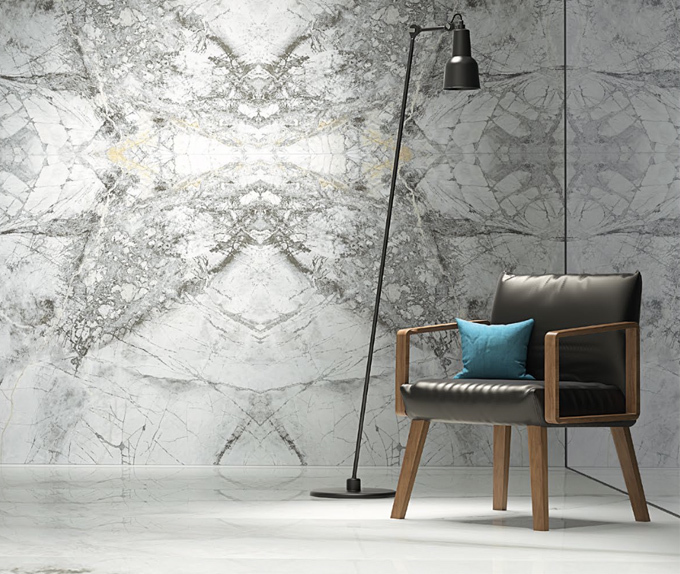 Brought back to life thanks to cutting edge technology, these beautiful works of art can be recreated to bring a true exuberance to high end developments that require a truly luxurious atmosphere, which marble delivers every time. 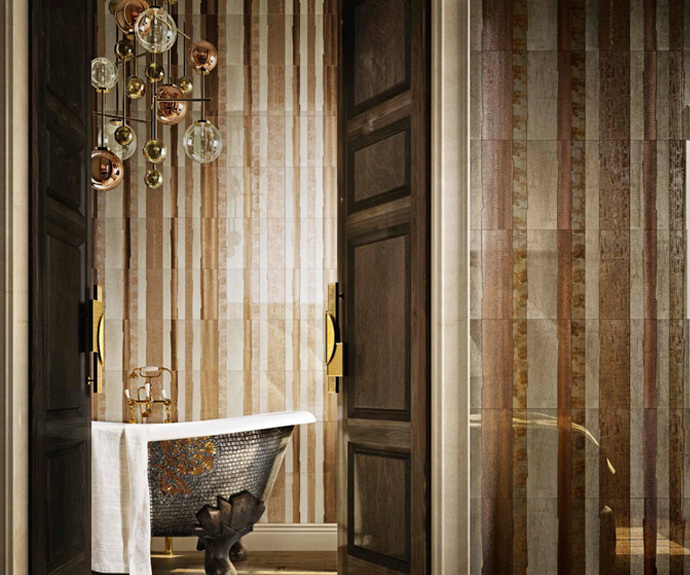 Marble surrounds and decors can be used to elevate the feeling of luxury within a bathroom, whether to create an atmosphere for a sublime soak or a decadent decorative touch for a basin. 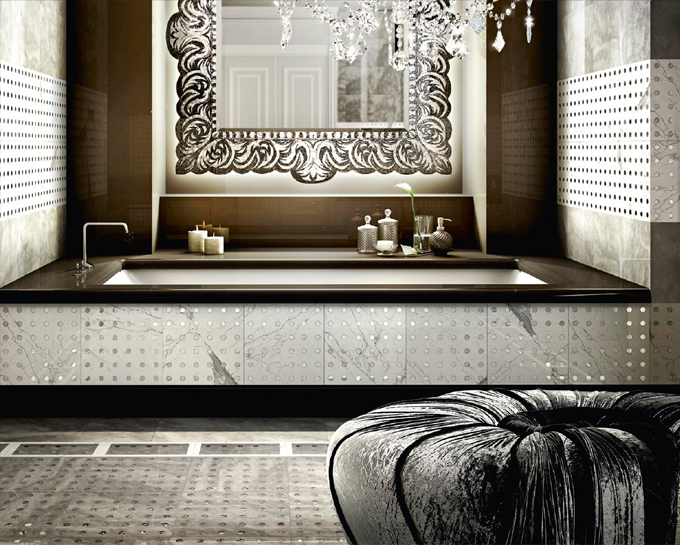 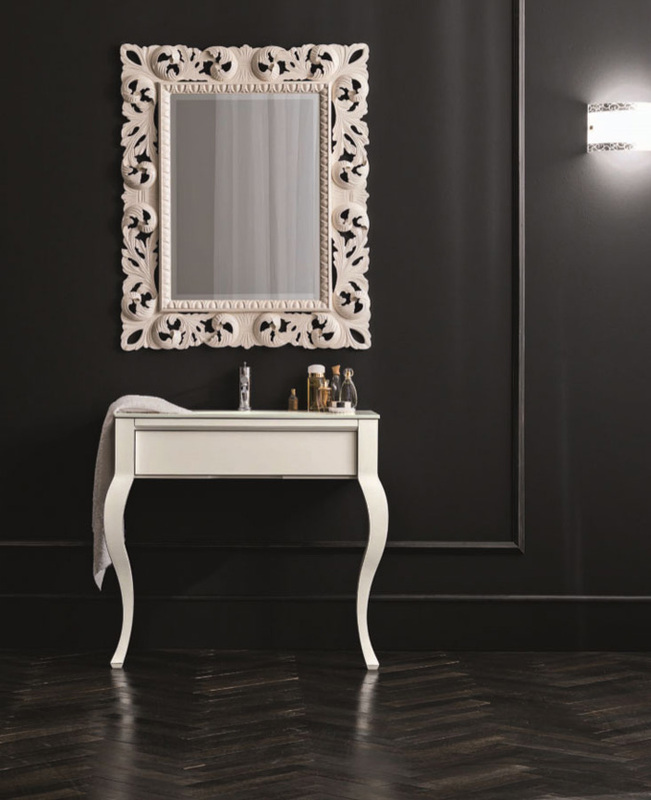 The beauty of marble lies within the distinctive veins that create unique patterns in each piece, while today’s techniques allow for beautiful embroideries such as silver and gold to be integrated into exquisite pieces for top end bathrooms.